A brand that has “Build ultra-luxury performance automobiles with Italian style, accommodating bespoke interiors, and effortless, signature sounding power” as a mission statement was never going to be one that mass-produced city cars. Maserati are masters at what they do, mixing Italian class with ultra-luxury performance. You can browse all the Maserati models available below. If you’d like to find out more about the history and reliability of these luxury Italian cars, continue reading. 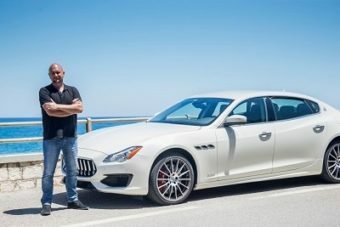 Is Maserati a reliable brand? When it comes to the reliability of the magnificent Italian cars there are questions, with WarrantyDirect ranking them as number one on their ‘least reliable’ list for 2017. However, a lot of this is to do with the cost of repairs more than the number of times they go wrong. These cars are custom, a luxury car that isn’t mass-produced and, with that can come a few inconveniences. Maserati was founded by four Italian brothers in Bologna, Italy in 1914. All the brothers were engineers or artists and they focused their attention on the production of racing cars. This involvement with racing continued even after the brothers sold their interests in the company to the Orsi family in 1937. During World War II Maserati halted production of cars to focus on the war effort, and producing a car for use by Mussolini. Once the war finished the company returned to manufacturing racing cars and they were successful in winning several races during the 1950s. In the late 1950s, Maserati retired from designing and building racing cars, focusing their attentions instead on building cars for the road, which is where they still are today. Maserati are home to a team of Italian craftsmen who know a thing or two about making a beautiful car. We are able to get all the latest Maserati models, from the stylish and robust Levante to the sleek Quattroporte Saloon. 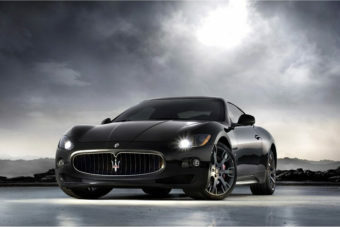 Buying a Maserati is like falling in love. Are you looking for a luxurious and indulgent car that’s all about class and extravagance? If you are, then we may have exactly what you’re seeking on our Maserati page. To find out more, call one of our team today on 01903 538835 , or request a call back at a time that works better for you. ARE YOU INTERESTED IN GETTING A MASERATI?